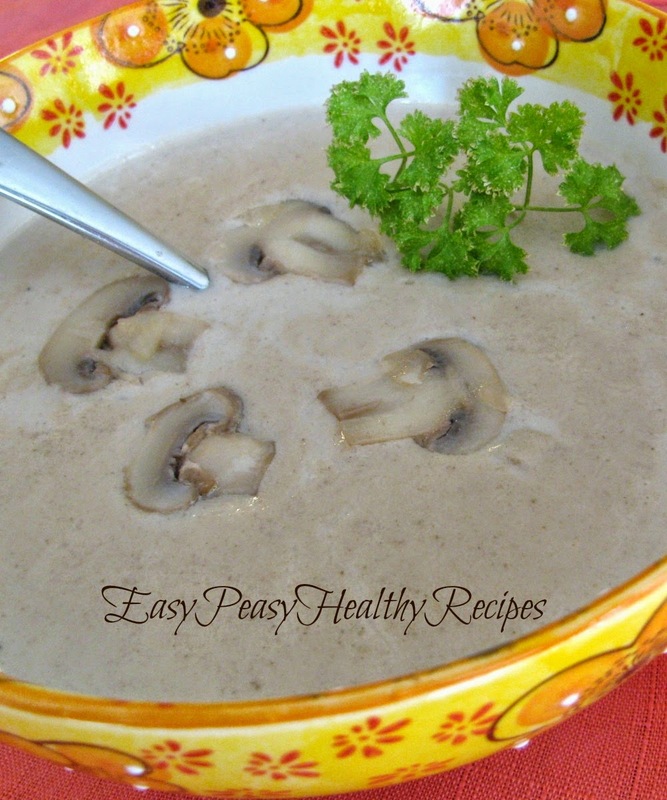 Who knew that making mushroom soup from scratch could be so easy? After making this I know I will never again buy those unhealthy cans of soup again. I have made this recipe a couple of times now. The first time I made this I sliced the mushrooms very thin first but found this wasn't really necessary. I threw them in whole the next time and that saved a lot of time. This can also be frozen and that makes it ideal to have on hand for recipes. I freeze enough to equal a 10 ounce can ( about a cup and a half) in small freezer bags and then when I am making a recipe that calls for a can of mushroom soup I can just pull it out of the freezer. Just be sure to leave a little space in the baggie to allow it room to expand. Or you can also use regular freezer containers to freeze them in. Either way it makes it so handy to just pull them out and throw into any recipe that requires a can of cream of mushroom soup.